Thank you for registering for The Healing Trauma Summit. Whether it&apos;s natural disasters, war, acts of violence, early-life experiences, or even a car accident or major surgery—so many people live with the unresolved consequences of trauma. This gathering of world-renowned presenters explores a wide range of new directions in the field, as well as how established models have evolved. For professionals, this course is now approved for continuing education (CE) credits. You can purchase this separate product at any time after purchasing the course. See your “Purchase Confirmation” email for full details. 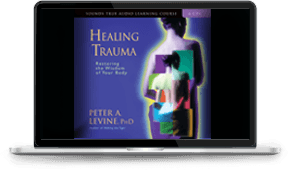 Peter Levine, PhD, is the developer of Somatic Experiencing®, a neurobiological approach to healing trauma. He is a senior fellow and consultant at The Meadows Addiction and Trauma Treatment Center in Wickenburg, Arizona. 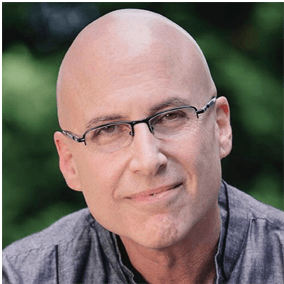 Dr. Levine is the author of several bestselling books, including Waking the Tiger, In an Unspoken Voice, and Healing Trauma. Judith Blackstone, PhD, is an innovative body-oriented psychotherapist and nondual spiritual teacher. She developed the Realization Process, an embodied approach to personal and relational healing and nondual realization. She teaches workshops and teacher certification trainings worldwide and online. She is author of the books Belonging Here, The Intimate Life, The Enlightenment Process, and The Empathic Ground; The Realization Process audio-learning program; and a forthcoming book from Sounds True, Trauma and the Unbound Body. Gabor Maté, MD, is a Canadian physician with special interests in mind-body unity, childhood development, and addictions. His books include the bestseller In the Realm of Hungry Ghosts. He lives in Vancouver, British Columbia. For more, visit drgabormate.com. “Forgiving Ourselves First”—a chapter from Zainab&apos;s forthcoming book, Freedom Is an Inside Job, on why we must forgive our own mistakes and trespasses in order to move forward and accept the apologies of others. Zainab Salbi is a humanitarian, author, and media personality. She&apos;s been featured by CNN, MSNBC, Oprah, People, the Guardian, HuffPost, and more. Salbi resides in New York City. For more, visit zainabsalbi.com. Mark Epstein, MD, is a psychiatrist in private practice in New York City and the author of a number of books about the interface of Buddhism and psychotherapy, including Thoughts Without a Thinker; Going to Pieces Without Falling Apart; Going on Being; Open to Desire; Psychotherapy Without the Self; and The Trauma of Everyday Life. His latest work is Advice Not Given: A Guide to Getting Over Yourself. He received his undergraduate and medical degrees from Harvard University. Richard C. Miller, PhD, is a clinical psychologist, author, researcher, yogic scholar, and spiritual teacher. He has founded and cofounded several key organizations, including the International Association of Yoga Therapy, the Institute for Spirituality and Psychology, and the Integrative Restoration Institute. Richard is the author of The iRest Program for Healing PTSD and has released iRest Meditation and Yoga Nidra with Sounds True. Elizabeth Rosner is a bestselling novelist, poet, and essayist. Her first book of nonfiction, Survivor Café: The Legacy of Trauma and the Labyrinth of Memory, was published in 2017. It was featured on NPR&apos;s All Things Considered and in the New York Times; the San Francisco Chronicle called it a best book of 2017. She travels widely to lead intensive writing workshops, lecture on contemporary literature, and visit with book groups. Her book reviews appear frequently in the San Francisco Chronicle. David Emerson is the founder and director of yoga services for The Trauma Center at the Justice Resource Institute in Brookline, Massachusetts. He was responsible for developing the curriculum and supervising the yoga component of a NIH-funded study, conducted to assess the utility and feasibility of yoga for adults with treatment-resistant PTSD. In addition to coauthoring several articles on the subject of yoga and trauma, David Emerson is the author of Trauma-Sensitive Yoga in Therapy and coauthor of Overcoming Trauma through Yoga. Laurel Parnell, PhD, is the executive director of the Parnell Institute and president of the nonprofit Trauma Assistance Program International (TAP-IN). A leading expert on eye-movement desensitization and reprocessing (EMDR), she is the developer of the EMDR-related therapies Attachment-Focused EMDR and Resource Tapping. She is the author of several books and videos on EMDR, including Attachment-Focused EMDR; A Therapist&apos;s Guide to EMDR; and Tapping In. Dr. Parnell keynotes conferences, trains clinicians in EMDR, and presents workshops throughout the world. Leslie Booker brings heart, wisdom, and compassion to the intersection of mindfulness, yoga, and social justice. She began working with system-involved populations in 2005, and was a senior teacher and director of teacher trainings for Lineage Project, where she worked with incarcerated and vulnerable youth for 10 years. Booker is a cofounder of the Yoga Service Council at Omega Institute and is on the faculty of the Prison Mindfulness Institute and Off the Mat Into the World®. She is a coauthor of Best Practices for Yoga in the Criminal Justice System and a contributor to Georgetown Law&apos;s Center on Poverty and Inequality report on Gender & Trauma. Edward Tick, PhD, is a transformational healer, psychotherapist, writer, educator, and poet who has been working to heal the invisible wounds of violent trauma for over 40 years. He is renowned for his groundbreaking work with veterans and other survivors of severe violence who suffer from post-traumatic stress disorder and moral injury. Ed cofounded the nonprofit Soldier&apos;s Heart, where he serves as director. With Sounds True, he has published Warrior&apos;s Return and Restoring the Warrior&apos;s Soul. Sensorimotor Psychotherapy Worksheets (PDF)—for use with clients or on your own, providing a practical tool to explore the interventions discussed in this presentation. Worksheets will include the wisdom of the body, somatic resources, empowering action, mindfulness, and the window of tolerance. Pat Ogden, PhD, is a pioneer in somatic psychology and the founder and education director of the Sensorimotor Psychotherapy Institute, an internationally recognized school specializing in somatic-cognitive approaches for the treatment of post-traumatic stress disorder and attachment disturbances. She is a cofounder of the Hakomi Institute, past faculty of Naropa University, and a clinician, consultant, and sought-after international lecturer. Dr. Ogden is the author of two groundbreaking books on somatic psychology: Trauma and the Body and Sensorimotor Psychotherapy, and is currently working on a third book, Sensorimotor Psychotherapy for Children, Adolescents, and Families. Shaka Senghor is a leading voice in criminal justice reform, the director of innovation and strategy at #cut50, a consulting producer for the OWN docuseries Released, and president and creative director of Mind Blown Media. His memoir, Writing My Wrongs: Life, Death, and Redemption in an American Prison, is an unforgettable tale of forgiveness and second chances, and reminds us that our worst deeds don&apos;t define who we are or what we can contribute to the world. Shaka&apos;s story has inspired thousands and serves as a testament to the power of hope, compassion, and unconditional love. 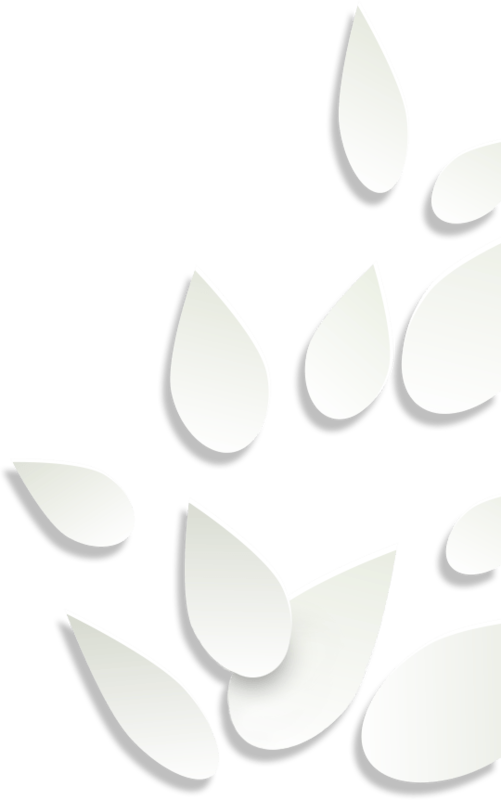 Life After Healing (PDF)—a simple yet very powerful healing practice we can use personally or as a therapist to let go of anchors to past wounds so each person is free to create a positive present and future. Sandra Ingerman, MA, is a world-renowned teacher of shamanism, a licensed marriage and family therapist and mental health counselor, and a board-certified expert on traumatic stress. She has taught workshops internationally on shamanic journeying, healing, and reversing environmental pollution with spiritual methods. In addition to teaching, Sandra has published 10 books and eight audio programs, including Walking in Light, Soul Retrieval, and Shamanic Meditations. Developed over the past three decades, the Internal Family Systems (IFS) model offers an empowering and non-pathologizing approach to treating trauma. It helps clients access an undamaged essence from which they heal the parts (subpersonalities) of them that continue to live in shock, pain, and shame. Many trauma therapies propose that the existence of subpersonalities is a sign of pathology—a consequence of the fragmentation of the psyche by traumatic experiences. In contrast, the IFS model sees all parts as innately valuable components of a healthy mind. Trauma does not create these parts, but instead forces many of them out of their naturally valuable functions and healthy states into protective and extreme roles and makes them lose trust in the leadership of the client&apos;s Self, which in IFS is an inner essence of calm, confidence, clarity, connectedness, and creativity. Richard Schwartz, PhD, began his career as a family therapist and an academic at the University of Illinois at Chicago. There he discovered that family therapy alone did not achieve full symptom relief and in asking patients why, he learned that they were plagued by what they called &lquo;parts.&rquo; These patients became his teachers as they described how their parts formed networks of inner relationship that resembled families, and from these explorations the Internal Family Systems model was born. IFS is now evidence-based and has become a widely-used form of psychotherapy, particularly with trauma. 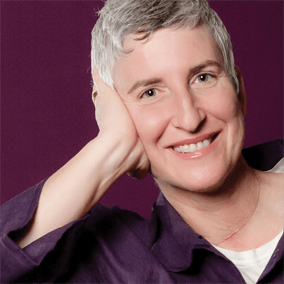 Bonnie Badenoch, PhD, is a therapist, mentor, teacher, and author who has spent the last 14 years integrating the discoveries of relational neuroscience into the art of therapy. Her latest writing is The Heart of Trauma, which seeks to build a bridge between science and practice with clarity and compassion. With Sounds True, she has produced the online training program Trauma and the Embodied Brain—a heart-based training in relational neuroscience for healing trauma. David Grand, PhD, is the founder and developer of Brainspotting, which now has over 12,000 therapists trained, with 48 trainers in all seven continents. Dr. Grand is the author of Brainspotting, This Is Your Brain on Sports, and Emotional Healing at Warp Speed. Dr. Grand is in practice in Manhattan, New York performing Brainspotting therapy, sports work, and acting coaching. Dr. Grand is also a playwright and documentarian whose work has been widely reported in the New York Times, Sports Illustrated, O Magazine, CNN, MSNBC, and ESPN's 30 for 30. Linda Graham, MFT, is an experienced psychotherapist in the San Francisco Bay Area. She is the author of the award-winning Bouncing Back: Rewiring Your Brain for Maximum Resilience and Well-Being and The Resilience Toolkit: Powerful Practices for Bouncing Back from Disappointment, Difficulty, and Even Disaster (September 2018). She integrates modern neuroscience, mindfulness practices, and relational psychology in her international trainings on resilience and well-being. She publishes a monthly newsletter and weekly Resources for Recovering Resilience, archived at lindagraham-mft.net. Kevin Pearce, former professional snowboarder, is an inspirational public speaker and cofounder of the LoveYourBrain Foundation. On December 31, 2009, while training for the Olympic trials in Park City, Utah, Kevin suffered a severe traumatic brain injury. Despite the fact that Kevin&apos;s career was brought to an end that day, his determination and drive to overcome the catastrophe through vigorous rehabilitation, personal training, and giving back to others continues to inspire his family, friends, and fans every day. Kevin&apos;s recovery—and his journey to accept his new life—was recently chronicled in The Crash Reel, an HBO documentary film directed by two-time Oscar-nominated director Lucy Walker. Dawson Church, PhD, is an award-winning author whose bestselling book The Genie in Your Genes has been hailed by reviewers as a breakthrough in our understanding of the link between emotions and genetics. He founded the National Institute for Integrative Healthcare to study and implement promising evidence-based psychological and medical techniques. His groundbreaking research has been published in prestigious scientific journals. He is the editor of the peer-reviewed professional journal Energy Psychology: Theory, Research & Treatment, and a blogger for HuffPost. Edith Eger, PhD 4 PM ET, June 12, 2018 To Be or Not to Be—Victim or Survivor? “I Had My Secret, and My Secret Had Me” (PDF)—introduction from The Choice by Dr. Edith Eva Eger. © 2017 by Dr. Edith Eva Eger. Reprinted with permission of Scribner, an imprint of Simon & Schuster, Inc.
Edith Eger, PhD, is a sought-after clinical psychologist and lecturer, helping individuals discard their limitations, discover their powers of self-renewal, and achieve things they previously thought unattainable. Her 2017 memoir The Choice: Embrace the Possible has been translated into nine languages. Rick Doblin, PhD, is the founder and executive director of the Multidisciplinary Association for Psychedelic Studies (MAPS). He received his doctorate in public policy from Harvard's Kennedy School of Government, and he conducted a 34-year follow-up study to Timothy Leary&apos;s Concord Prison Experiment. Rick studied with Dr. Stanislav Grof and was among the first to be certified as a holotropic breathwork practitioner. His professional goal is to help develop legal contexts for the beneficial uses of psychedelics and marijuana, primarily as prescription medicines but also for personal growth for otherwise healthy people, and eventually to become a legally licensed psychedelic therapist. Diane Poole Heller, PhD, is an established expert in the field of Adult Attachment Theory and Models, trauma resolution, and integrative healing techniques. Her book Crash Course is used worldwide as a resource for healing general trauma. With Sounds True, Diane has released the audio program Healing Your Attachment Wounds: How to Create Deep and Lasting Intimate Relationships. Stephen W. Porges, PhD, is a distinguished scientist at Indiana University, where he directs the Trauma Research Center. He holds the position of professor of psychiatry at the University of North Carolina, and Professor Emeritus at the universities of Illinois and Maryland. He has published more than 250 peer-reviewed scientific papers across several disciplines and proposed the Polyvagal Theory, which links the evolution of the mammalian autonomic nervous system to social behavior and emphasizes the importance of physiological state in the expression of behavioral problems and psychiatric disorders. We must embrace our shadows in order to find our light. Jeffrey Rutstein, PsyD, is a clinical psychologist who has specialized in the treatment of trauma for the past 30 years. In addition, Dr. Rutstein has been training and supervising health-care professionals in the art and science of psychotherapy, meditation, and personal transformation for the past 27 years. He devotes his work to helping people reduce their suffering and struggle while empowering them to claim their strengths, their talents, and their unique abilities to live a more fulfilling and rich life. 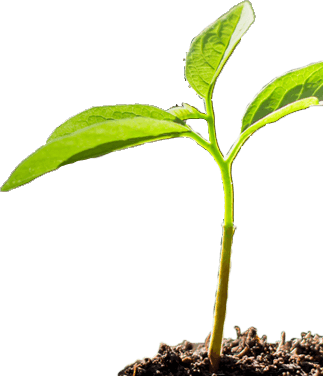 Dr. Rutstein has been trained in a wide variety of approaches and methods for personal transformation and healing. His approach integrates traditional psychotherapy along with the latest advances in neuroscience and mind/body approaches to address the whole person in a powerful and effective manner. We invite you to own The Healing Trauma Summit upgrade package today. We unconditionally guarantee your satisfaction with all Sounds True products for one year when purchased via our website. If you are not 100% satisfied with your purchase(s) for any reason, simply return it with receipt for a full refund. How do I register for The Healing Trauma Summit? When will the upgrade package I purchased be available? Your upgrade package will be available approximately one week after the summit ends.